Atelier Meruru: The Apprentice of Arland is the current final chapter of the Arland trilogy, however, since it is soon to become a tetralogy, I guess you could say this is the penultimate chapter. With it being a trilogy, you would think that each game would have basically the same core mechanics, share common characters and places and basically only have the story changed. While on some level that is true, for instance the way alchemy is performed is the same in all three games but the rest of the mechanics fluctuate between the titles. 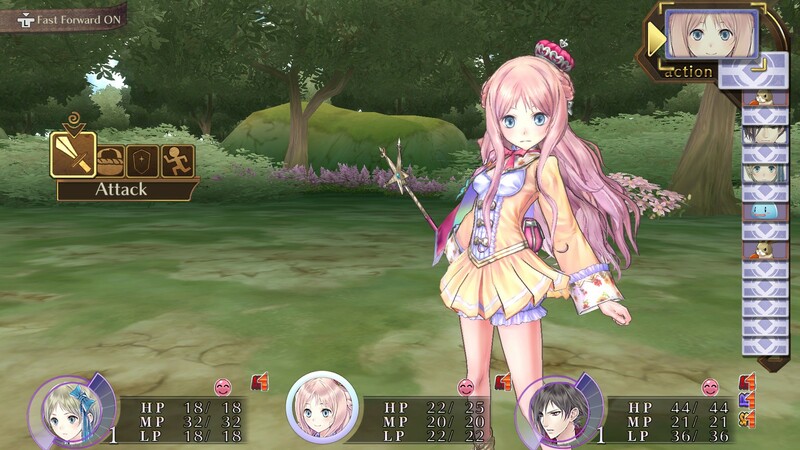 Atelier Meruru’s combat system is more akin to Atelier Rorona than it is to its direct predecessor Atelier Totori. Atelier Meruru’s combat is probably the best of the trilogy, refining what made the combat fun in Atelier Rorona and adding a layer of polish. The ability to chain up a powerful attack is back and it even causes the items you use in battle to change in appearance. The world map is also improved upon again. In Atelier Rorona you basically just said go there, time would pass and you would appear there. There were no real connections between areas; they simply appeared as places on a background. Atelier Totori introduced a more standard world map that let you move around between destinations and gave you a sense of connectivity between areas. As you traveled around you could randomly get into fights, find items or have other things randomly occur as you moved between places. While this did make it a little more interesting and perhaps added a level of danger, at later levels the random interruptions as you traveled around became more of a nuisance than added fun, especially when the enemies were low level and prone to running from you. 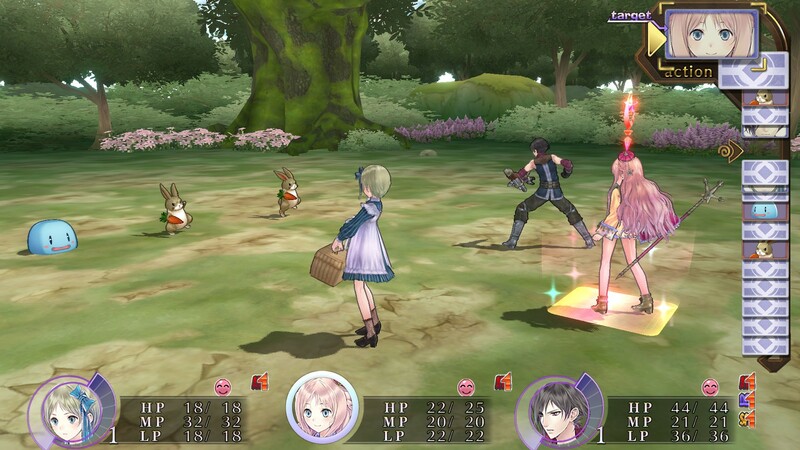 Atelier Meruru retained the world map style movement of Atelier Totori, but removed the random element. I think this is a bit of an improvement. Time still passes as you move around the map and it gives you an idea of how long it will take you to get where you are going, but you will not encounter anything on the map. Speaking of time, Atelier Meruru has a timer too. Thankfully it is more like the timer in Atelier Totori rather than Atelier Rorona. Meruru has three years (which does get extended) to make her kingdom big enough to warrant merging it into the Arland Republic. That’s where my opening tagline comes into play. Assuming you do a good job in this game, you will stop being royalty and just become a commoner because your kingdom will be dissolved. Hmmm… while I question the motivation there, Meruru seems to be quite happy to improve her kingdom. I never felt under pressure or that any actions I might be taking were a waste of time. I was a bit fearful that once I got into my final year I wouldn’t be able to do key things, but it turns out by the last year I had burned through almost everything and still had enough time. The warp gate definitely helps you out once you can make it though as I may have been in far more trouble had I not been using it so much. One thing that is a little annoying is that if you get a new quest you have to talk to the butler first before you can go do it. It would have been nice to be able to skip that step, but it did make sense story wise so I guess it was okay. Once you knew what the quest wanted of you, you could do whatever it wanted and then report it to the correct area. If you completed every task for the area in that particular quest set, then the area may be improved and given a visual and collectible materials upgrade. In Atelier Rorona there was a reputation gauge that basically said how popular Rorona was and how likely she is to have customers in order to save her workshop. I had a fair amount of challenge with this gauge due to the fact that if you did not give the highest quality items you possibly could or if you took too long to fill the guild request your reputation might be hurt badly. 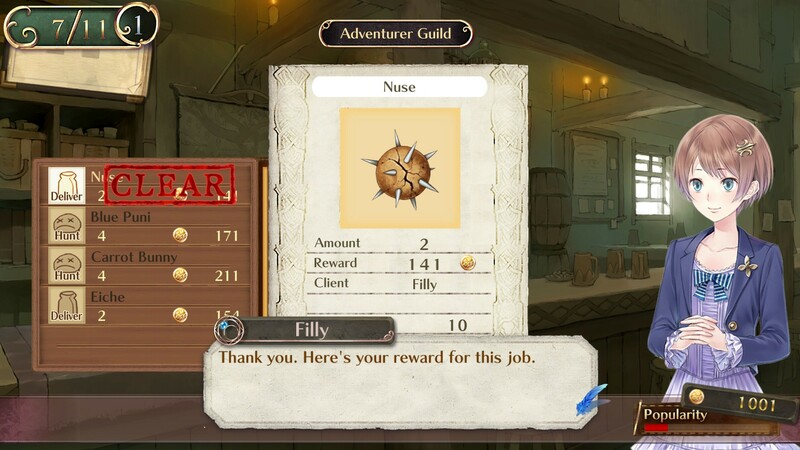 Since Atelier Rorona had a very narrow timetable between missions I often found myself having to just give what I could to fill the request or ignore it completely if I didn’t think I would have time. This meant it was an ongoing uphill battle to try to get the best ending for the game. I felt the timer in Atelier Rorona hindered my enjoyment of what would have otherwise been a wonderful game in a genre I quite enjoy. Atelier Meruru is what Atelier Rorona could have been had the timer been more forgiving. The popularity gauge functions the same way in Atelier Meruru but there is no direct timer element attached to it. If you accept a guild request and take a long time to fill it, that is perfectly fine. Your biggest popularity hits come from you being inactive while just wandering around the map, performing alchemical synthesis or otherwise not doing anything important. I found it reasonably easy to maintain my popularity once I had developed my kingdom more. Developing the kingdom is the new thing for this game. In Atelier Rorona it was doing the quest that the Kingdom of Arland said you had to do. 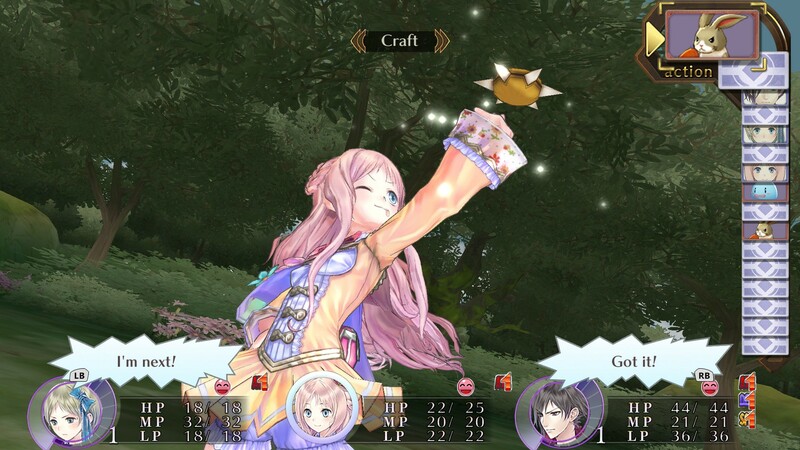 In Atelier Totori it was trying to get points to upgrade your Adventurer’s license and in Atelier Meruru it is gaining points so that you can build new things in your kingdom and improve its status. These new things that are built will generally have some kind of positive impact on you. Example, when characters are not in battle, they typically do not gain experience. If you leave someone sitting somewhere too long, they will become fairly useless to you if your main character is level 42 while the person you want to use is still level 3. One of the buildings you can construct, and eventually upgrade, will allow your benched characters to share in experience gains too. This means they will always be roughly around the same level as you need them to be by virtue of the fact they have been leveling up passively. This was a feature that was lacking in Atelier Totori that I would have greatly benefited from. Atelier Meruru like most Atelier games is quite a busy title too. As you do synthesis or wander around town often times you will get interrupted to have some story given to you. Usually the story doesn’t impact anything other than being character development, but it can be a nice change of pace as you do routine synthesis or visit shops. Some of those side stories are actually quite fun and can trigger additional stories if you pay enough attention to it to know that you should take certain characters to certain places. Following a story thread will often lead to a nice final image as well as an achievement. 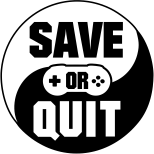 Despite my best efforts to get all achievements I could in a single play through, the game is definitely designed for you to play it again and have new material to encounter. There is even a character that appears to be unlocked only in New Game Plus mode rather than in the main game. 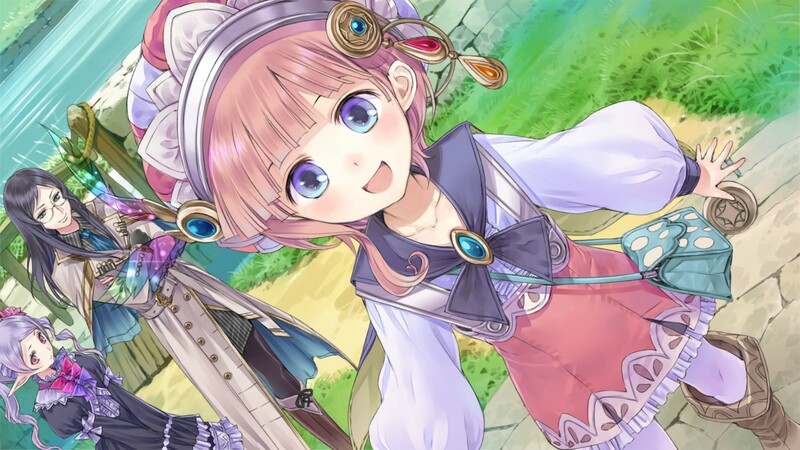 The overall gameplay of Atelier Meruru: The Apprentice of Arland DX seems to be more perfected taking the best elements of its two predecessors in the trilogy and ironing out most of the kinks. The user interface is pretty much the same one that was in Atelier Rorona rather than the harder to use one in Atelier Totori. Everything is clearly labeled and easy to use. Even the sort feature is very easy to use once again. The alchemy is still the simpler “just pick the items” style of the early atelier games but it really doesn’t detract from the fun of alchemy. The gamepad worked well although it had the same issues that Atelier Totori had (but oddly enough not Atelier Rorona) where often times it would load with the wrong buttons mapped to my gamepad, but closing and reopening the game always seemed to fix it. The menus were all laid out in an easy to navigate way and even offered shortcuts to the appropriate alchemy screen when a quest required you to make something. The combat was turn based with the slider, which is back in the same place as it was in Atelier Rorona, showing you where you fit in to the turn order. Some spells and abilities could impact this however unlike in Atelier Rorona, I had a harder time completely shutting down the enemy’s ability to take a turn. Once again, the boss or stronger enemies tended to cheat a bit and take multiple turns in a row. However, thanks to speed belts and some character’s innate higher speed ratings, I was also able to take multiple turns in a row sometimes. Knowing this leads you to be able to be more strategic in how you tackle your foes. The graphics were very similar to those found in the previous two Atelier Arland titles and looked great despite the age of the games. Each area you visited had quite a lot of detail and looked unique and may even change over time based on if you completed the development of that area or not. The character models were all highly detailed and interesting to look at with each character’s personality being quite well reflected with how they dressed. The fact their weapons still changed when you gave them different ones was still a welcome element in the game even though I was kind of expecting it this time around. Additionally, each of the items you can use in battle generally has its own special effects, some of those effects even can have variations depending on if you have linked your attacks between characters. I have to say that it was a bit weird having Rorona be younger in Atelier Meruru than she was in her own game or Totori’s game despite Meruru being younger than Totori and Totori being formerly younger than Rorona, but it did fit well with the story and made for an interesting twist. Speaking of twists, I left this out of the Atelier Rorona review but one of the little side events that happens in Atelier Meruru actually has a direct tie back to the earlier Atelier Rorona game meaning that the two games are linked to each other beyond just being part of the same trilogy and sharing characters. In Atelier Meruru, there is a scene that plays out with Meruru and Totori being accidentally sent back in time by Astrid and then coming back again without any real story told. This scene might seem a little pointless and fillery to those who breezed through or have not played Atelier Rorona but there actually is a side story in Atelier Rorona where Rorona meets two alchemists from the future, an older Totori and her apprentice Meruru. You actually can play out that story and eventually they get to go back to their own time. Having the two games linked this way made for quite an interesting experience and a fairly unique one at that. The sounds in this game are quite well done as they were in the previous titles. The music was once again rather well fitting for the title and the sound effects were very appropriate. While some of it was repetitive and perhaps mildly annoyingly so, it was still preferred over just having them say nothing. Like the previous games, anything that is relatively important is voiced. Anything that is more filler or less important typically is just text on the screen. This mix is very acceptable for these sorts of games and I did enjoy hearing them all speak. So, should you pick up Atelier Meruru: The Apprentice of Arland DX? If you enjoyed Atelier Rorona but wished you could take it easy as you played, then you will more than likely enjoy Atelier Meruru. It is a fitting ending chapter to the story arc but also could be played on its own. The game gives you enough backstory for each of the characters that you are able to figure it out without feeling like you missed something. If you are new to the Atelier series it also makes a great starting point for you to try. 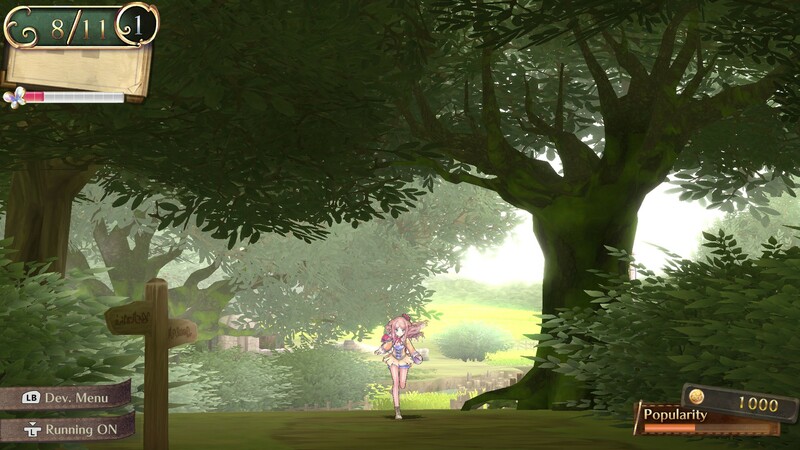 It has all of the best elements of Atelier Rorona with the more laid-back features of Atelier Totori. The alchemy is simpler and doesn’t take a lot of thought like it does in newer Atelier games but you still need to pay attention to item costs and item properties making the alchemy still interesting despite it being more primitive. If for any reason you are unable to obtain all three games, Atelier Meruru is probably the best of the three to play. While Atelier Rorona arguably has superior gameplay than Atelier Totori for the most part, it probably has the weaker of the story elements and has the somewhat overbearing time system in it which may be off putting to someone new to the Atelier series. 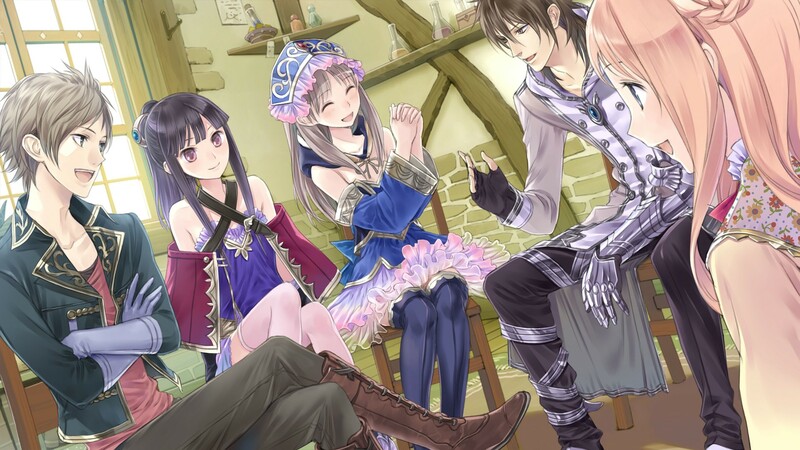 Atelier Totori feels more unrefined and lacks the polish that Atelier Rorona and Atelier Meruru share but the overall story was more interesting to me and felt like there was more game to play there. I think if Atelier Totori had the same user interface as Atelier Meruru and Rorona, it could have been a strong contender for the recommended entry point for the trilogy. Atelier Meruru seems to take the best elements from both those titles and wraps it up into a neater package. I would still recommend playing all three and playing them in chronological order to avoid major story points being spoiled, but if you are only able to try one of them, you should probably give that chance to Meruru and see if she can’t make you want to play the others too. Here is hoping that the Atelier Dusk series will make its way to Steam one day too. I know I will certainly be waiting front row and center, more than ready to play and review them all.